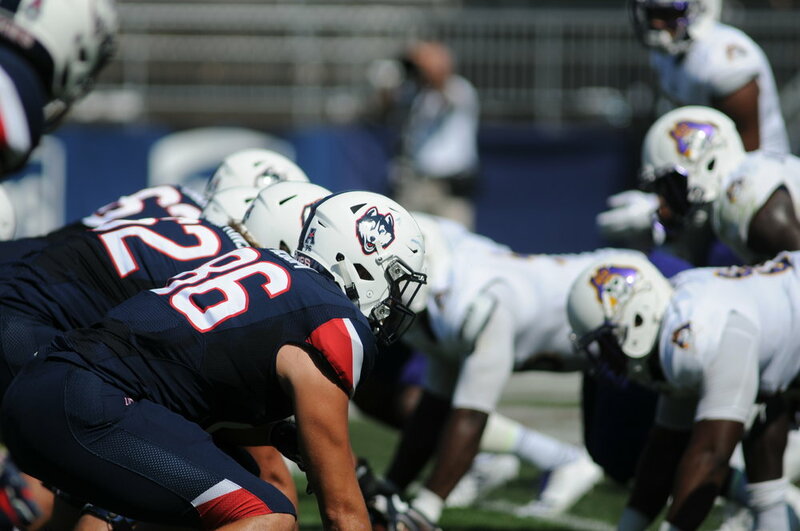 The UConn football team (1-2, 0-1 The American) returns to action this weekend as they travel to face American Athletic Conference rival SMU (3-1, 0-0 The American) at Gerald J. Ford Stadium in University Park, Texas. The Huskies are coming off a disappointing home loss to East Carolina, in which they climbed back from a 20-point first-half deficit only to watch kicker Michael Tarbutt miss a game-tying 33-yard field goal at the buzzer. Despite the painful ending, the Huskies’ offense roared to life through the air against the Pirates. Quarterback Bryant Shirreffs threw for a career-high 406 yards, along with three touchdowns, to help power UConn back. Running back Arkeel Newsome played a significant role, flashing his playmaking ability in the open field. Newsome caught eight balls for 170 yards, and passed the 1000-yard receiving mark for his UConn career. After inconsistent usage in the first two games, Newsome’s showing potentially promises an increased role moving forward. The big numbers posted by UConn show a huge offensive improvement over last season, with the Huskies beginning to take to new offensive coordinator Rhett Lashlee’s system. The air attack is beginning to truly click, although the team did lose lead wide receiver Hergy Mayala to a high ankle sprain. The defensive side of the ball is a different story. UConn was torched through the air for 426 yards by ECU quarterback Thomas Sirk, and showed a general inability to cover receivers both at the line of scrimmage and down the field. “Defensively, … we have to get off the field,” Edsall said, referring to the defense’s difficulty forcing three-and-outs. The secondary faces another challenge Saturday against SMU. The Mustangs boast a talented trio of receivers in Trey Quinn, James Proche and Courtland Sutton, with Sutton receiving praise from NFL scouts as one of the top wide receiving prospects entering the 2018 draft. The Huskies and the Mustangs will kickoff Saturday at 4 p.m.; the game will be broadcast on ESPNEWS. Tyler Keating is the sports editor for The Daily Campus, covering men’s basketball. He can be reached via email at tyler.keating@uconn.edu. He tweets @tylerskeating.